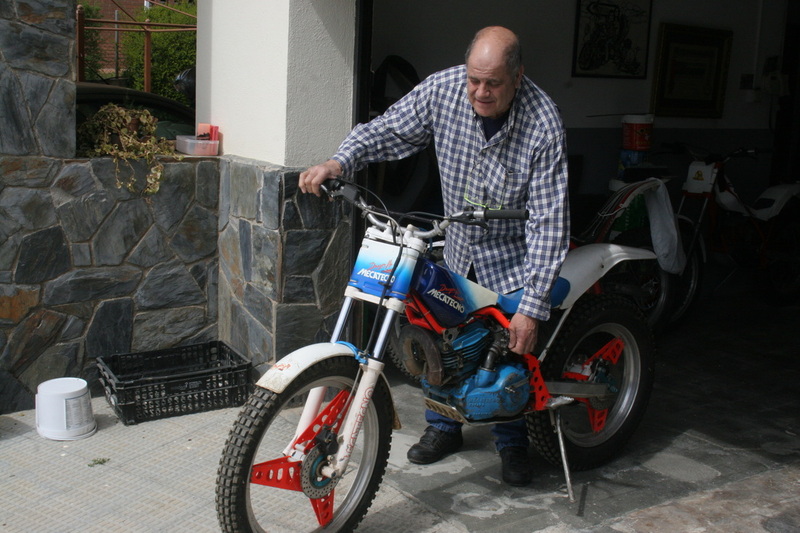 If you are into your Spanish motorcycles you really do need to know about this man. His name is Joan Ruiz......and ill be honest with you .....down in Spain he's a very well thought of guy and im my book quite a legend , and very very modest with it. 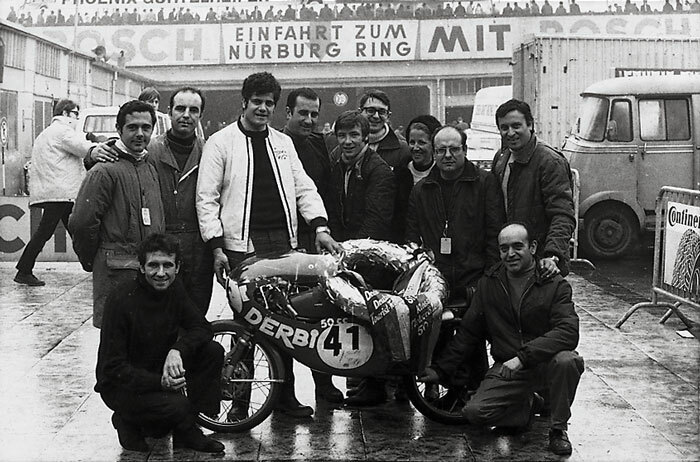 Joan Ruiz started his career working for Derbi motorcycles , located in the huge Martorelles factory , just north of Barcelona. 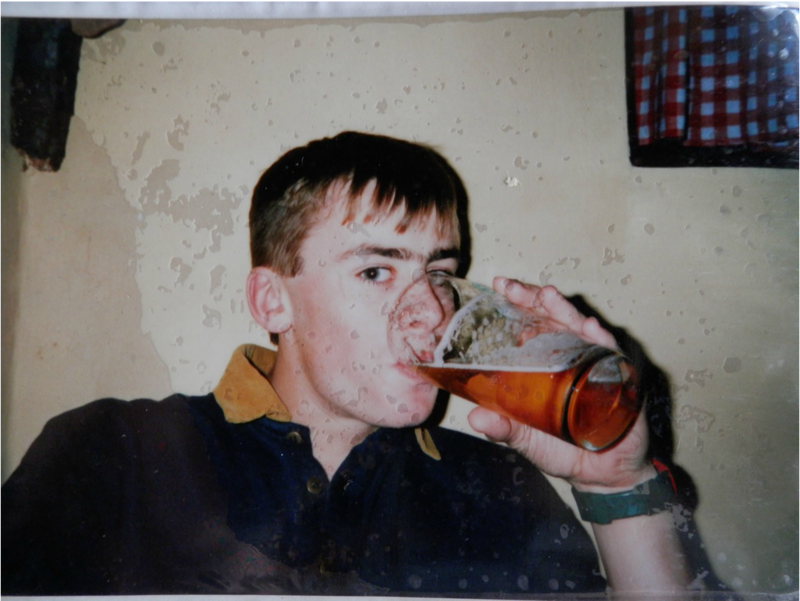 He soon showed himself to be competent with everything mechanical and was soon promoted to the race department. 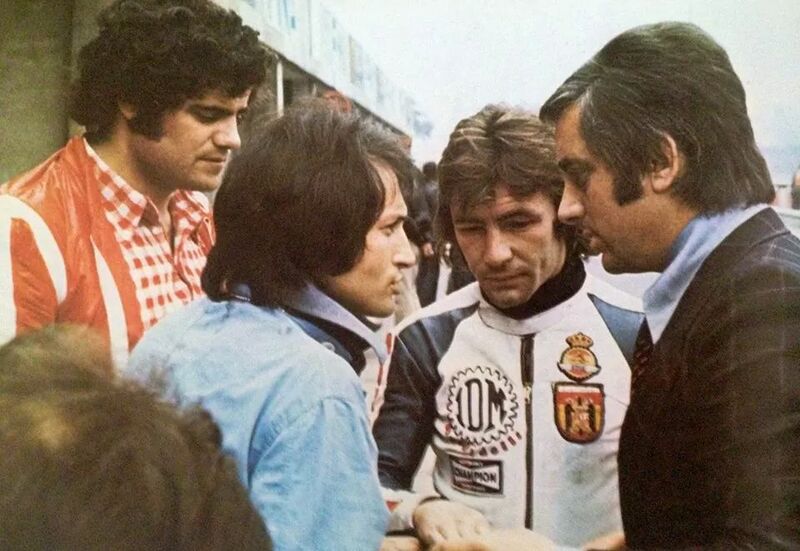 After a few years preparing road race machines in the factory , and looking much much older than he actually was , he was appointed as the race mechanic of Catalan Road Race God and 13 times World Champion Angel Nieto. 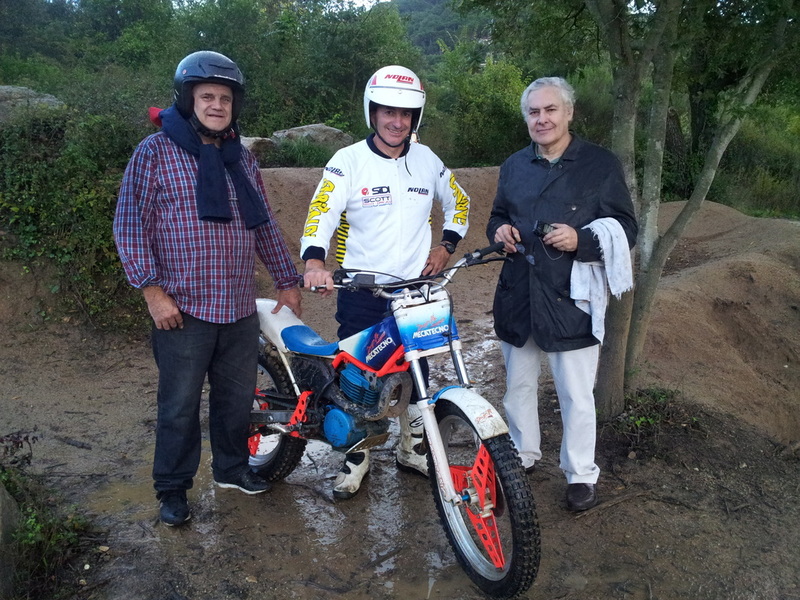 Joan travelled the World with Angel ensuring his incredibly high revving 50cc and 125cc 2 stroke motorcycles were tuned to perfection. Could you imagine a more challenging job that this. Being a World Champions mechanic came with one level of pressure. Then with limited on the road resources maintaining these highly strained fragile motorcycles which used to peak at 14,000 Rpm was yet more pressure. I am sure the racing machines were well prepared at the Derbi factory prior to race day , however that often soon changes on race weekend. 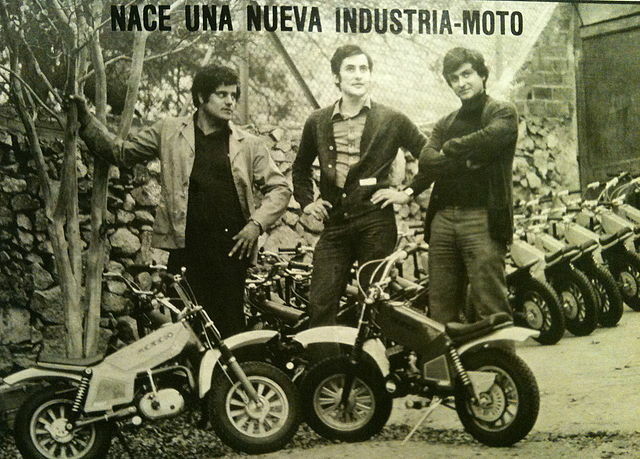 Jordi Rabassa had left Derbi in 1979 to fullfill his dream of creating his own motorcycle company. In the evenings Joan Ruiz would work in the outbuildings at Rabasa's home for Mecatecno to help out and earn a little extra . 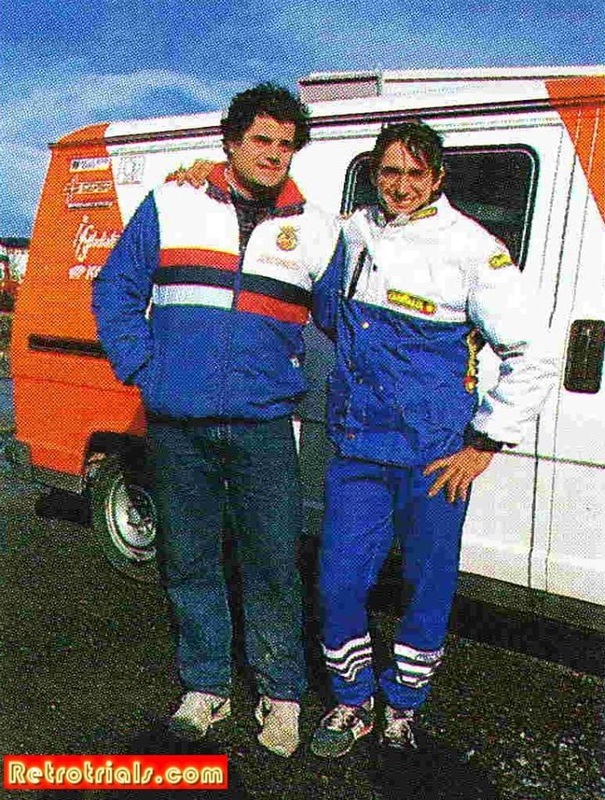 In 1982 and after 20 years with Derbi Joan took the plunge and left Derbi to join former racing department manager Jordi Rabassa and Derbi designer Ramon Mira in thier new project (but ultimately Rabassa's company) Mecatecno. Below on the left you can see Joan on the left with Rabassa and Mira standing in the garden of Rabassa's mother where they had thier first workshops. 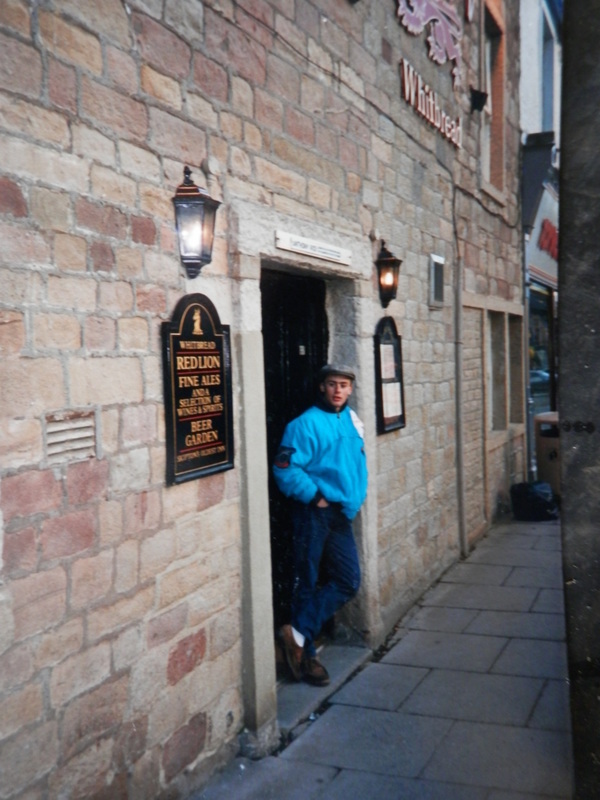 In fact you can see the same doors in both photos. Everything today is unchanged. 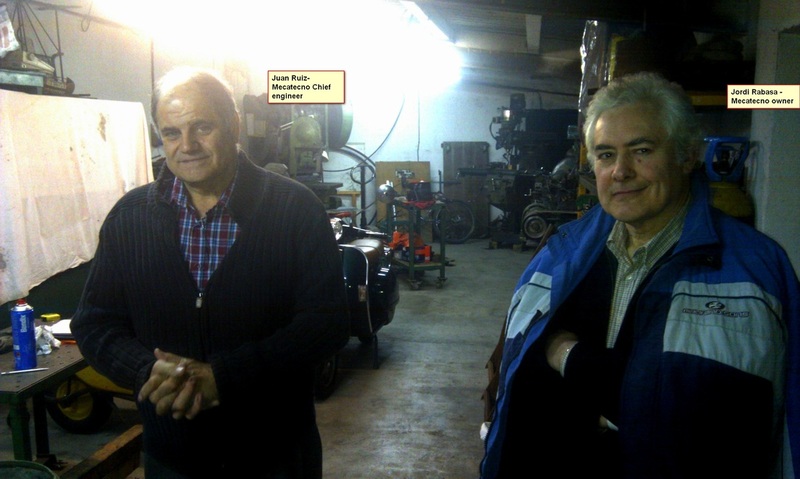 Where Mecatecno began - Jordi Rabassa's workshops with much of the rescued machinary from the later factory. I love this photo. 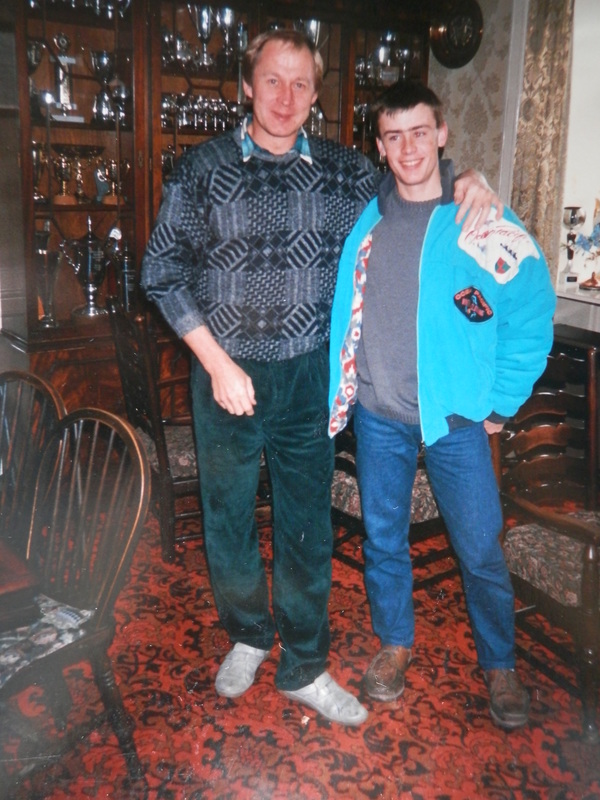 The photo was taken in the long sheds at the top of the garden. Mecatecno moved from this location in 1982 to the Els Xops factory , Barcelona. As well as designing the motorcycles , working on the production line and countless other tasks involved in this small 10 - 13 person company , Joan was also the minder to Lluis Gallach . 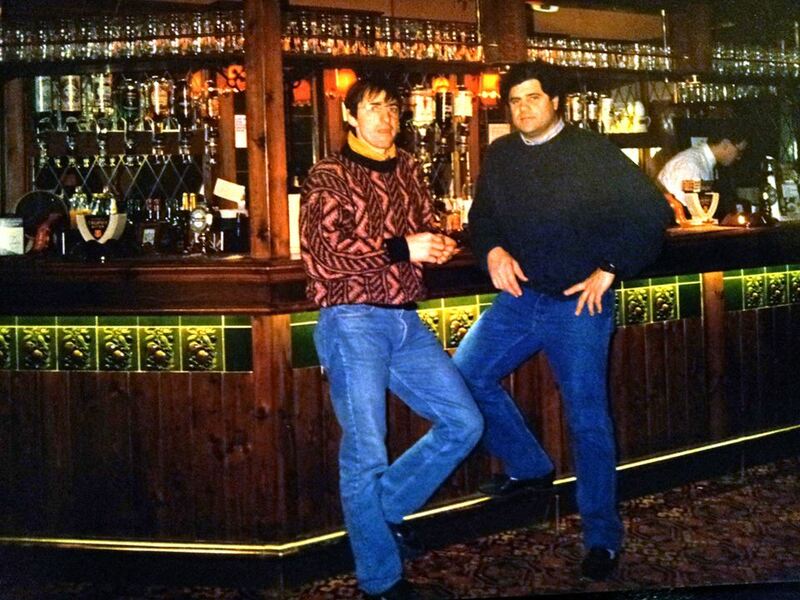 One the right you can see then propping up the bar at Malcolm Rathmell's pub in Yorkshire. 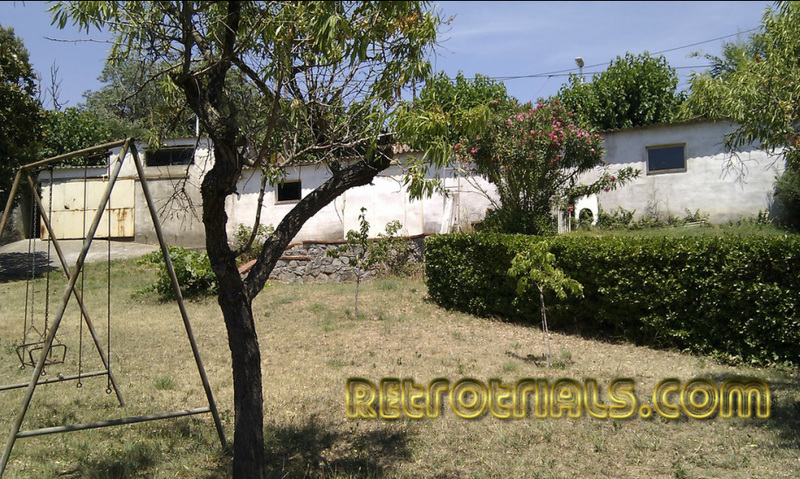 In 1992 Mecatecno was a victim of the recession and the 1992 Barcelona Olympics. Government spending had been so high to make the games on time that many many people in the public sector were laid off as the money dried up. This carried through , creating an atmosphere of thrift , and people were not buying motorcycles. 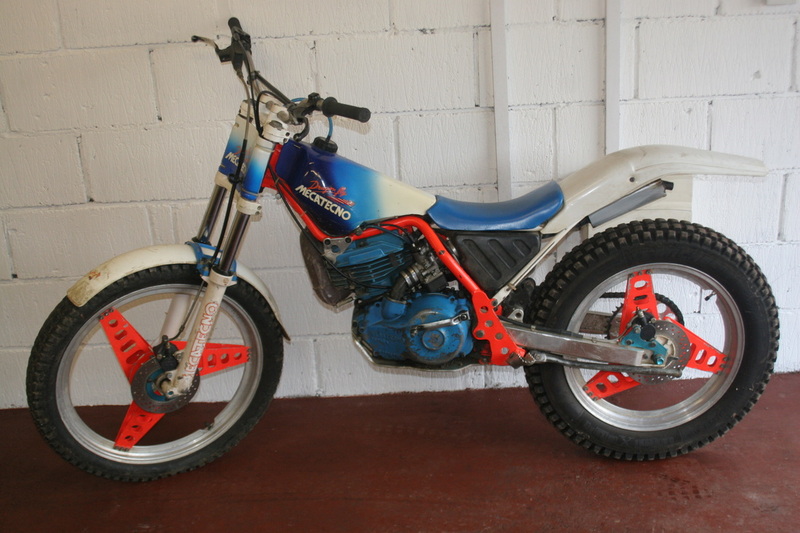 For example in 1991 Derbi sold 6000 motorcycles. In 1992 they sold on 300. It was that bad !. 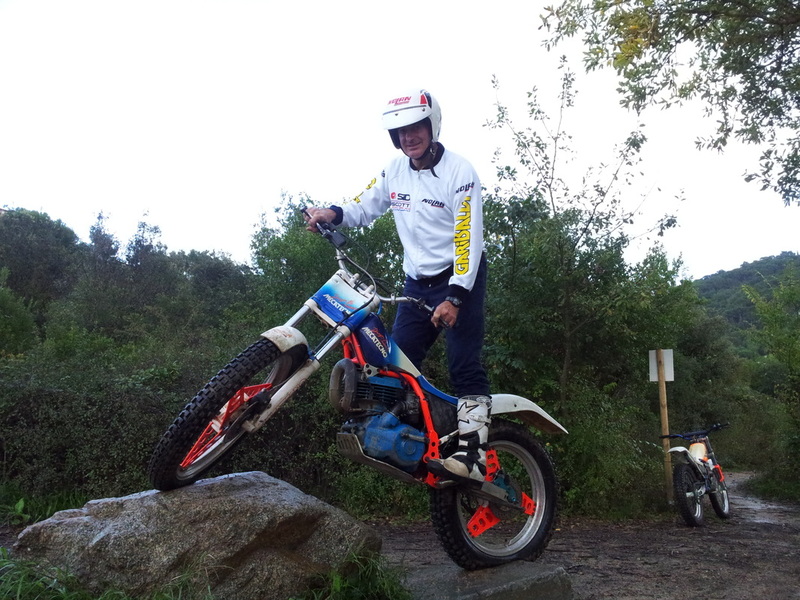 Juan then worked for the Spanish after market motorcycle parts supplier Metrakit from 1992 untill 1996. Metrakit are simply HUGE in Spain and manufacture everything from brake pads to cylinders, pistons and performance exhausts. 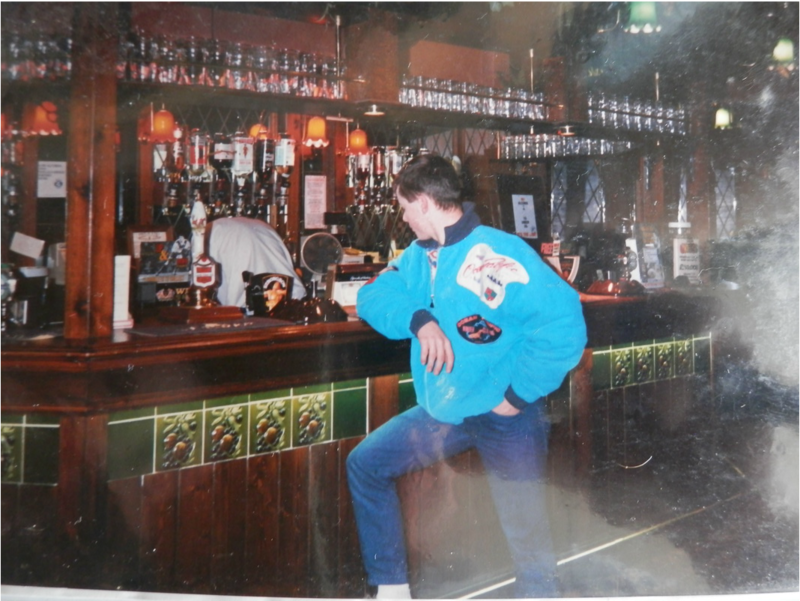 He then returned to Mecatecno in January 1996 untill September 1996.By September Juan hadnt been paid for 3 months and he realised that it was unlikely that he was going to see his pay or a future with the company . Joan's wife Margarita also worked as the administration lady for Mecatecno and so no pay was a huge issue. In Sept 1996 he telephoned Mr Casas the owner of Gas Gas and started work immediately as manager of Research and Development. 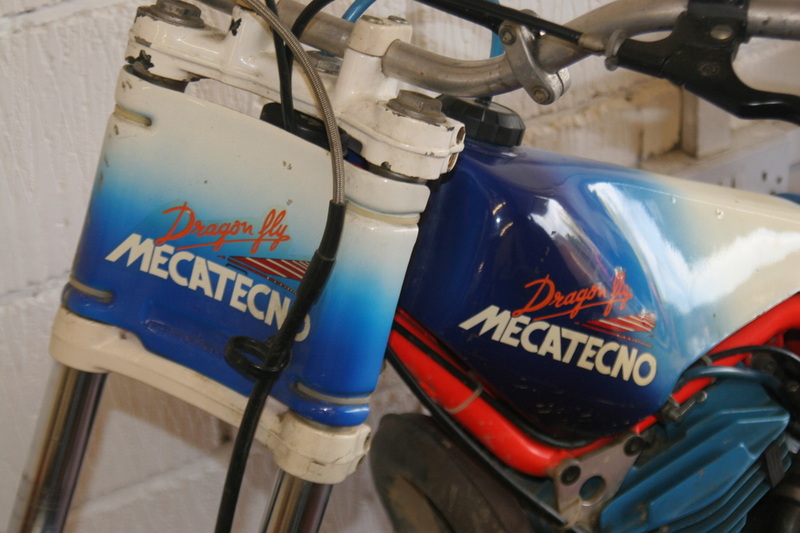 Joan left Mecatecno with a few momento's , one being his 1987 Mecatecno Dragonfly. Here are the photos , starting with Joan about to start it up. Scan of the original 1987 sales brochure. She ...my friends .....is a peach !. I am told that less than 200 were produced . 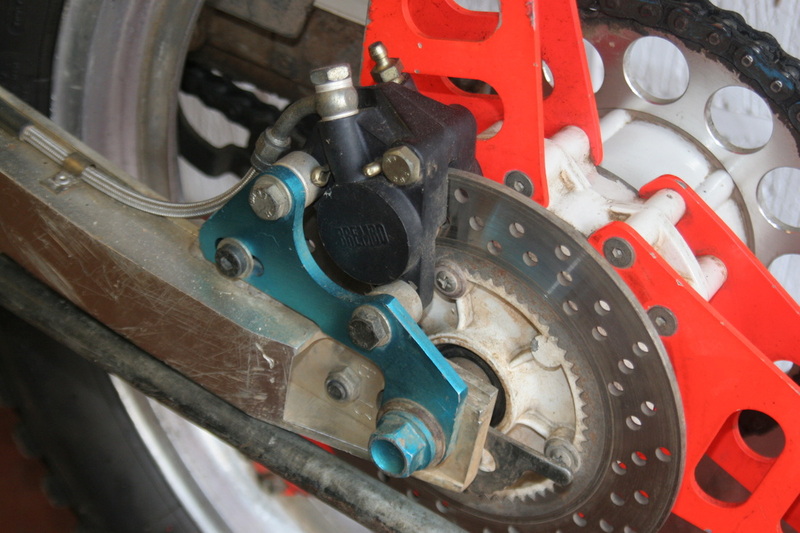 The engine hangs from the frame overhead and has a sump shield bolted underneath. 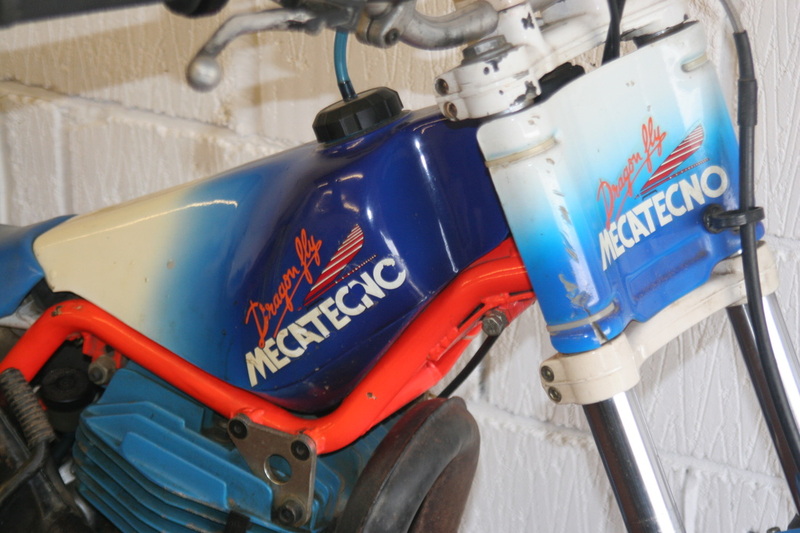 Everything on the Mecatecno was custom made , even the front number board. 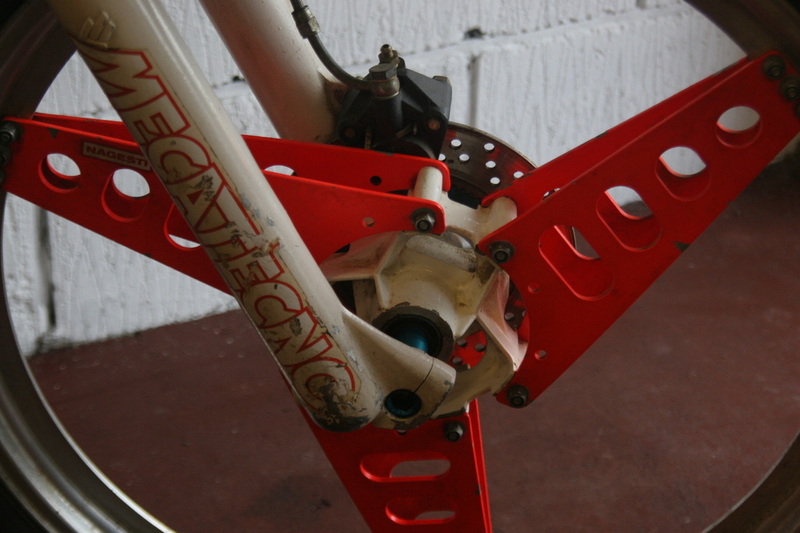 Mecatecno were uncompromising in creating the machine that they wanted. 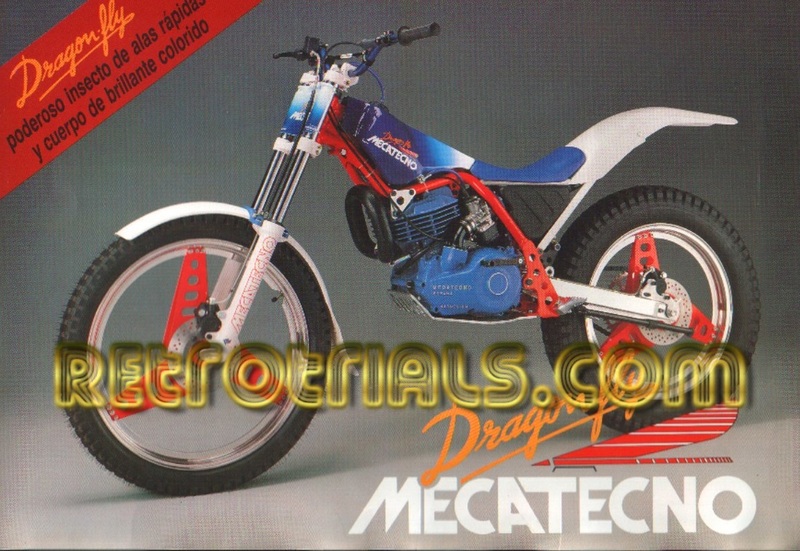 Yokes , throttle and levers by "Ideal"
Mecatecno's own 325cc custom made magnesium cased 5 speed rotary disc valve engine. It is very smooth and soft. 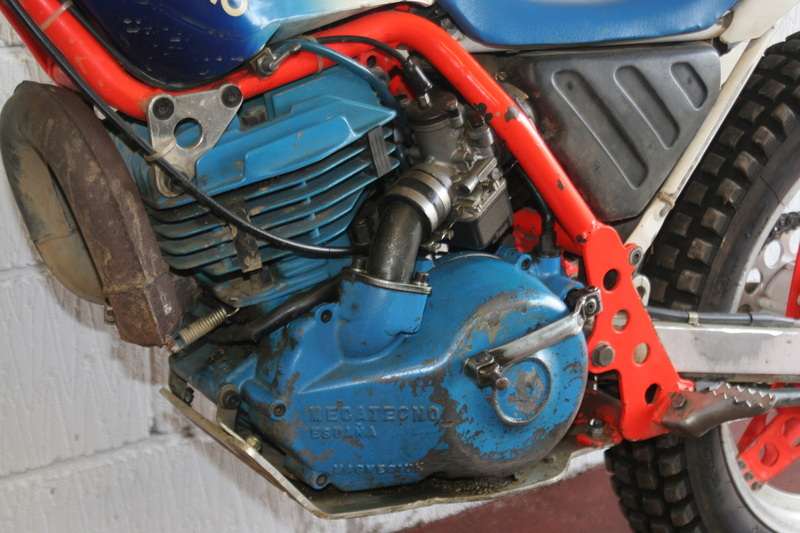 Montesa 314 air filters fit perfectly. Like many bikes of this period the rear wheel is very difficult to install. When it is removed all of the spaces and the snail cams fall on the floor. You need to be an octopus to manage the install correctly .....or just hold the wheel up on your foot and take your time. 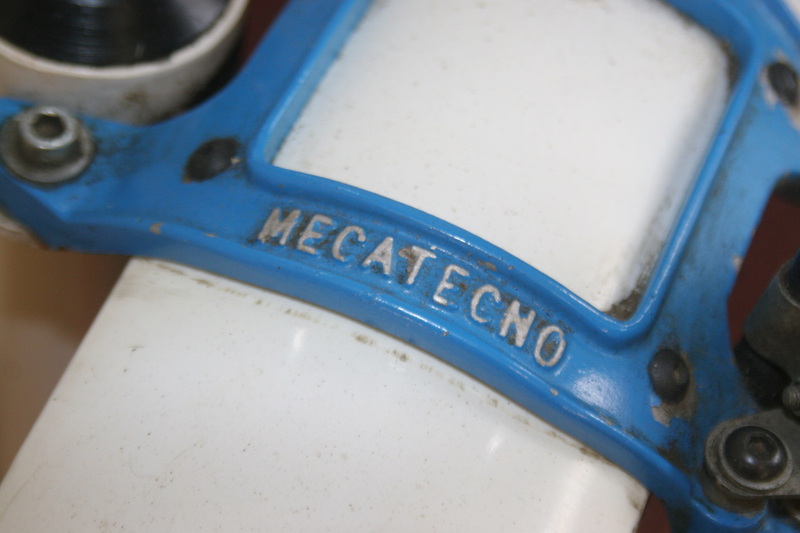 All prototype Mecatecno's were made in the factory . However when production came the chassis were contracted out to Vasan .sa who also made the Merlin Chassis. 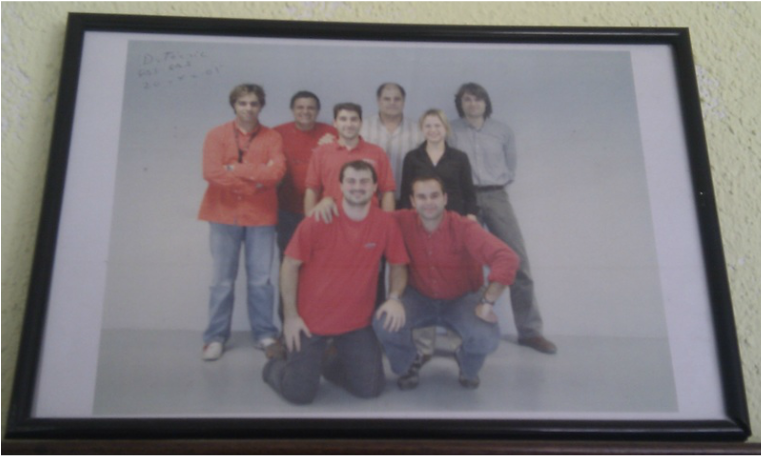 Merlin however continued to manufacture the plastics in thier own vacuum forming machine.